Do you ever have days where you have been cursed with the Midas touch, but instead of everything turning to gold, it turns to rusty iron? Well the past 10 days have pretty much been like that for some reason. The past few days in work have been chaotic to say the least, and the cause of which is spam emails. 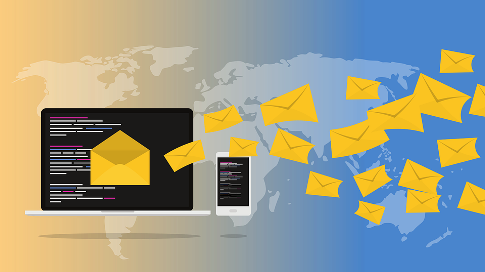 My team look after, amongst other technologies, the AntiSpam contract with a 3rd party, and recently we have seen an increase in emails entering the network. When at home spam mails annoying, but when in work, it can easily turn into a problem that kills our network. As a rough guide, we blocked on a daily basis, anything up to 8 million emails due to content filtering, this is on top of the 4 million blocked per day based on RBLs. This service continues to be inefficient, I received 10 mails today and 2 of them were spam, so 20% for me. If it’s the same with all users we are with series problems. Problems…. well we need inbound mail so that’s A. out of the equation. Our worldwide business partners use gifs in their signature so that B. out of the question to. The next round of emails went to our 3rd party provider from the same manager, asking questions that had already been addressed in email 2 days earlier, however my management don’t read emails, as they are “too busy”. This is despite being in control of the messaging department! Despite having a reputation for stiff formality, the British commonly use first names in business, you know, whenever we’re not calling each other ‘Old Sport’. As a business technique, this familiarizes you with the contact and bridges the intimacy gap that physicality often doesn’t. It is frequently indicated how someone wishes to be addressed upon meeting them. They may say a simple “Call me Alex” or repeat the part of the name they wish to be called by, such as “My name is Pat. Pat Smith”. Agent 007 is a great example of British introductions, when he says the famous line “The name’s Bond. James Bond”. It isn’t just top spies that prefer to be called by their surname though, as you may find particularly older or more experienced business contacts wish to be addressed by title and surname. The titles Mr. (pronounced MIS-TER), Mrs. (MISS-IS), Miss. (MISS) are used as titles. Don’t assume a female’s title; refer to her as Ms. (MIZ) if you are unsure. Generally, it is only doctors, clergy or legal professionals that use their academic titles in business. People from the military often use their title too. For knighted people, use ‘Sir’ in front of their name and similarly the female equivalent is ‘Dame’.